QPS offers a wide variety of services for both commercial and individual customers. Our production facility is well-equipped with the resources to handle the needs of our clients and provide them with dependable service. At QPS our work flow is predominantly digital and we offer the latest technology and equipment to bring print & copy production to the highest level of quality digital print media. 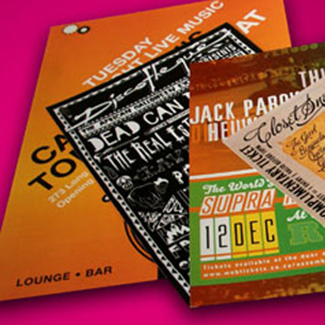 The advent of digital printing has elevated it to a level that rivals that of traditional offset printing and offers more flexibility in some areas and quicker turnarounds. However, we still offer offset printing in cases where our digital economy in longer runs for our clients. Whatever you or your company's needs we have access to ample resources to meet them. Here at QPS efficiency is one of our top priorities whatever your application our day to day operations are structured in such a way to provide maximum efficiency in production. Tour our site and you we feel you will find ample solutions to all your graphic communication needs all in one location.